Lovely Wednesday! Oh my, sorry, I was m.i.a. and still love sick from Lee Min Ho ^_^, but I'm delighted to be back! 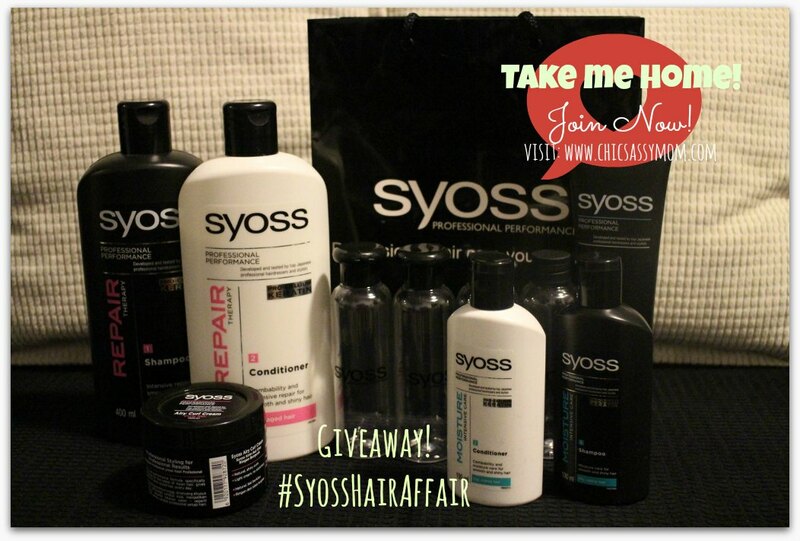 Here's the first of my series of July Giveaway previewed last time, first off is a Syoss Hair Affair Gift Pack! 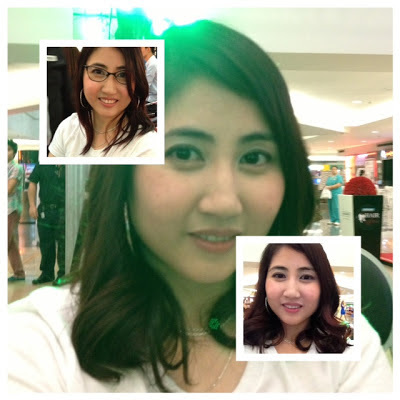 #LoveYourOwn ^_^. 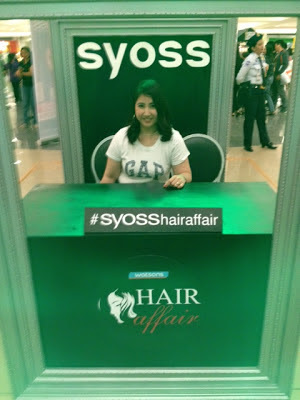 Cheers to a new hair care brand to love ...SYOSS (pronounced /sah-yoss/)! Syoss is a brand that is co-developed with Japanese hair stylist, making waves in hair care in Asia Pacific and Europe, from the makers of the trusted salon brand worldwide, Schwarzkopf & Henkel (read more about it here). 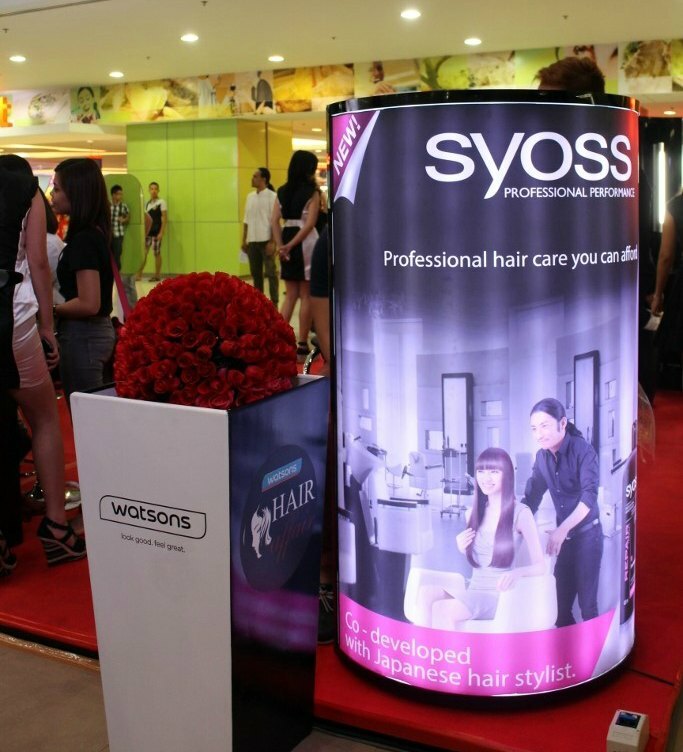 Syoss Shampoo & Conditioner, Styling Products, and Hair Colors promise professional performance, salon-like-beautiful-hair at home, everyday. Syoss and Watsons unveiled the Syoss hair affair last time at the Event Center of SM Megamall. Say goodbye to bad hair days! The event featured Syoss Makeovers. 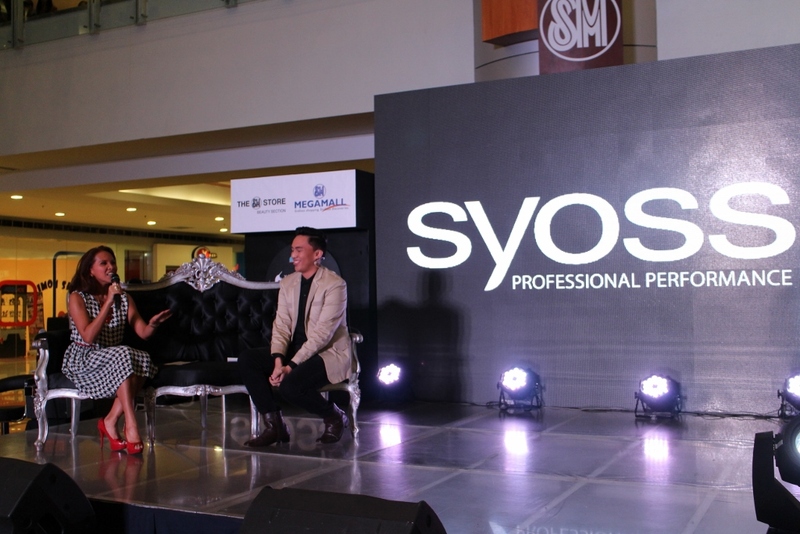 The event is hosted by Ms. Gelli Victor, and features celebrity hair stylist Mycke Arcano for hair care tips relative to the shape of one's face. Oh wow! Hair #Myckeover by Mycke Arcano himself. 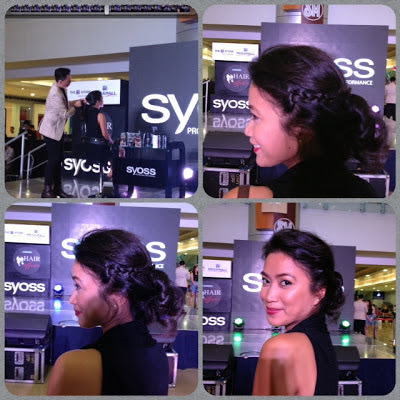 Here's one of my coveted hair style that I can't wait to try...loose low bun with a side braid! 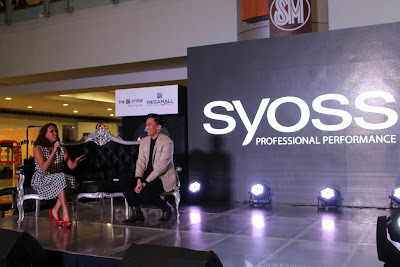 The event invited bloggers to experience Syoss Makeovers. 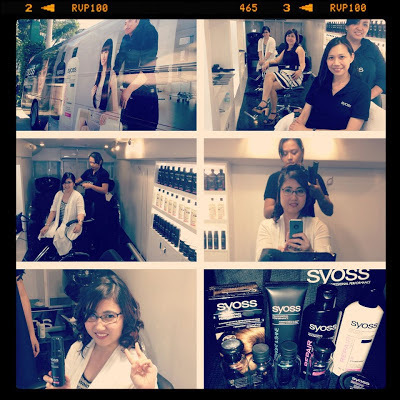 While hair coloration with Syoss Hair Colors was made available to the buying public and complimentary application was done at the Syoss Sossy Bus Mobile Salon nearby. Syoss Bus Mobile Salon Media Launch last time. 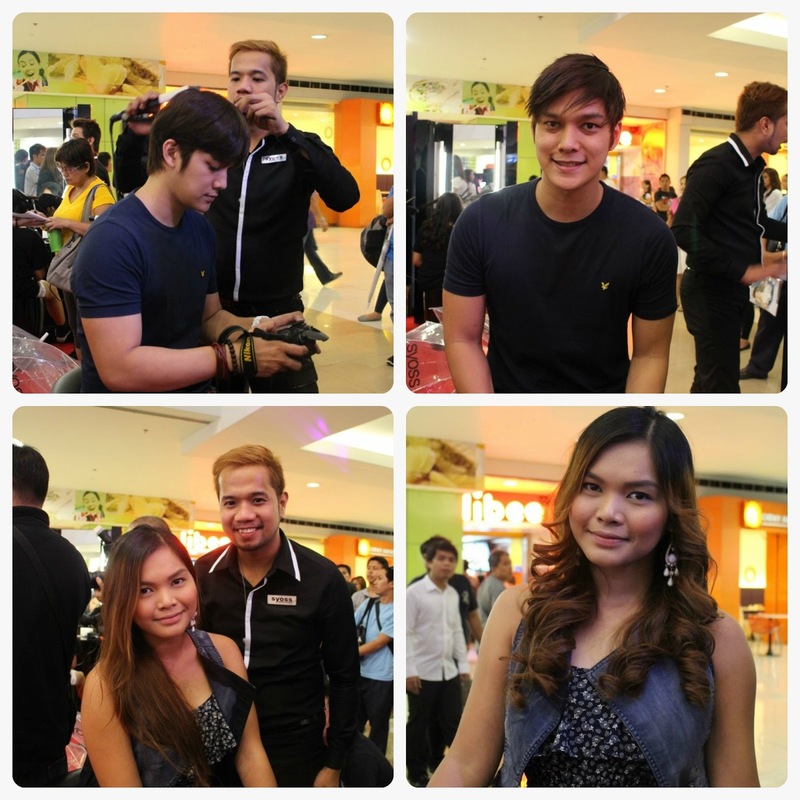 Step inside the Mobile Salon. Indulge. One (1) Winner to take home the gift pack inclusive of Syoss Repair Shampoo and Conditioner 400 ml, Syoss Moisture Shampoo and Conditioner 100 ml, Syoss Styling Products Airly Curl Cream and Straight & Shine Glossy Jelly and Travel Bottles. 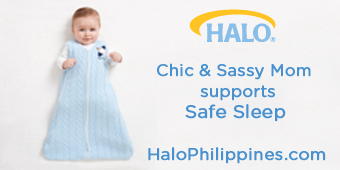 Entry submission will end July 21, 2013, Local Time (Philippines). @Claire Thanks for joining! ^_^ Good luck dearest! @Jackie: Lee Min Ho Love! Yay! 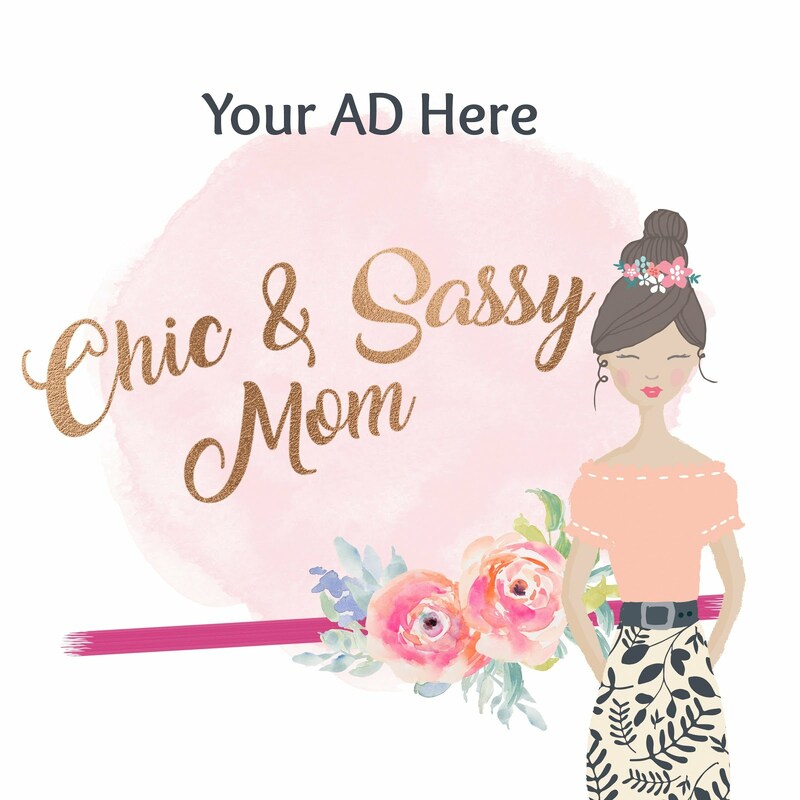 ^_^ Pleasure is mine hosting fab giveaways, if only I can do more! Thanks for your usual support! Hope to win! Cross Finger! Yay!I hope i win this time..Thanks for this awesome giveaway!